Duo skirting is profiled on both sides, so can be reversed from Torus to OG skirting as required. 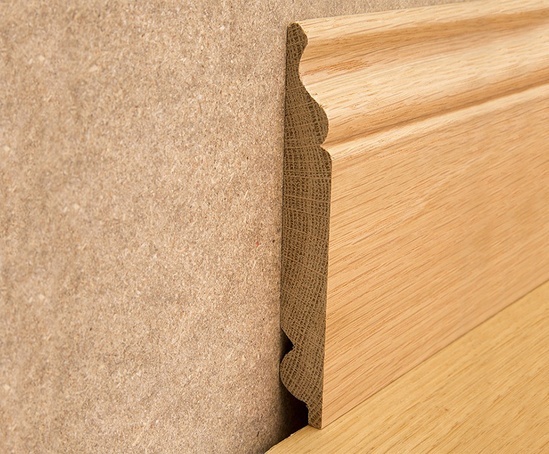 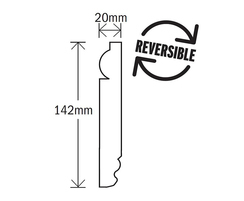 20mm deep and 142mm high, the oak skirting is available in 2400mm lengths. 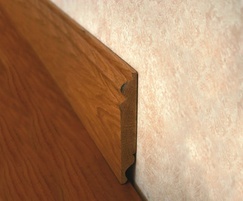 Duo skirting can be supplied pre-lacquered or unlacquered as required.